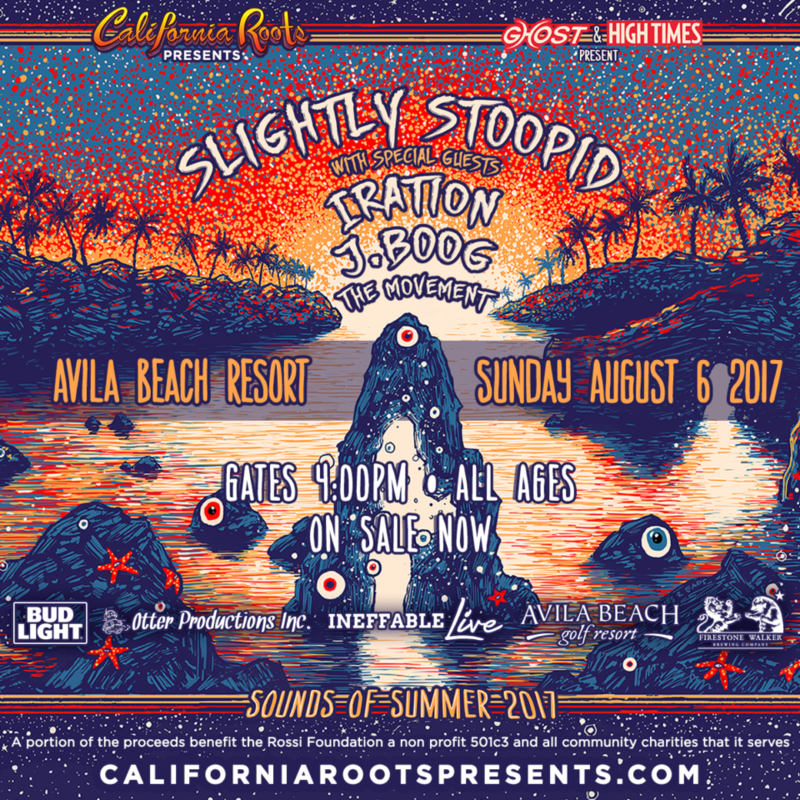 Slightly Stoopid "Sounds of Summer Tour 2017" - Otter Productions Inc. | Otter Productions Inc. Slightly Stoopid "Sounds of Summer Tour 2017" - Otter Productions Inc.
“We’re a touring act, and we’ve been on the road pretty much non-stop over the last decade,” explains Doughty, offering that the band’s own local recording studio and rehearsal clubhouse “The Lab at Stoopid Studios” (within the warehouse district of Mission Valley just inland of Ocean Beach), is a key ingredient of what keeps the band’s sound fresh. In fact, the title and album cover reference the band’s collective escape from touring where they have been working on numerous creative and collaborative projects. “Over the last several years we started our own studio and invested into innovations and equipment, upgrades in a quest to capture and progress our ideal signature sound. Having our own studio really enables us to make records at our own pace and to make the right records, hopefully (with a grin) at various stages of our career,” Doughty continues. “What’s nice about having our own environment to record in, and analyze the music, is it really lets us keep an organic feel. For Slightly Stoopid, I feel like it’s a step into the next level, as far as understanding the process of recording, understanding the process of songwriting. We took everything that we’ve learned over the years and really put it into this place and into our music.” The property also houses the creative loft space that has become the official offices Stoopid Records, which issued the band’s third album in 2000, Acoustic Roots, and has continued to be their preferred method of distributing the band’s recorded material.